Our 3rd Annual Duke Longboard Luau was a major success. The event sold out and the entertainment and venue was top notch. We would like to thank Morgan Run & Resort of Rancho Santa Fe for their continued excellent service. The entertainment was excellent and the audience participation of the Haka was priceless to witness. Our keiki’s doing the opening chants were well received and they did a superb job! The silent auction which included a large variety of gifts from all price ranges was also a hit. The vendors that attended also did well and had a great time. 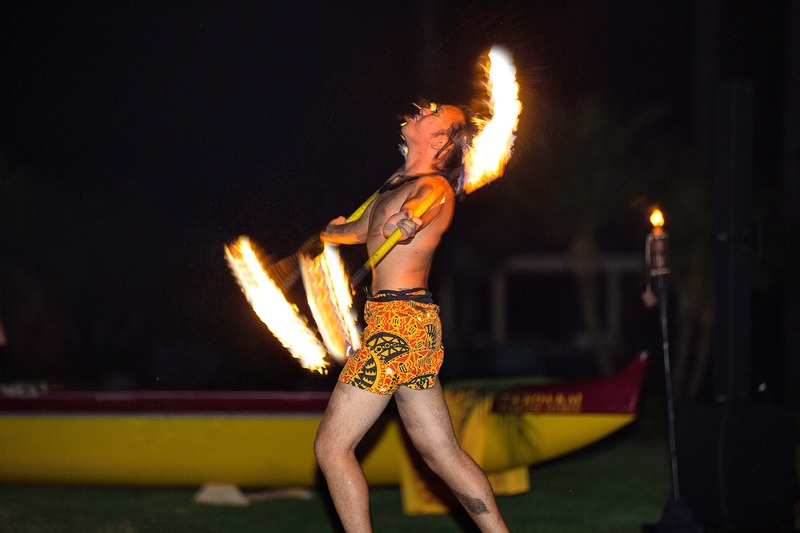 The fire knife performance at the end of the luau was second to none! If you didn’t make it to our luau this year or were turned away because we sold out, then you have our sincere apology. Perhaps we will see you next year at our 4th Annual Duke Longboard Luau!